I am constantly in my local Superdrug looking for new cosmetics and trying not to buy anything. 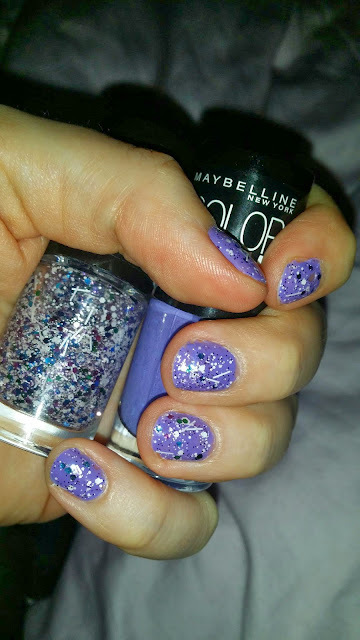 In a recent trip to the store I noticed the Maybelline Color Show nail polishes by colorama and my debit card came out whoooppppps! 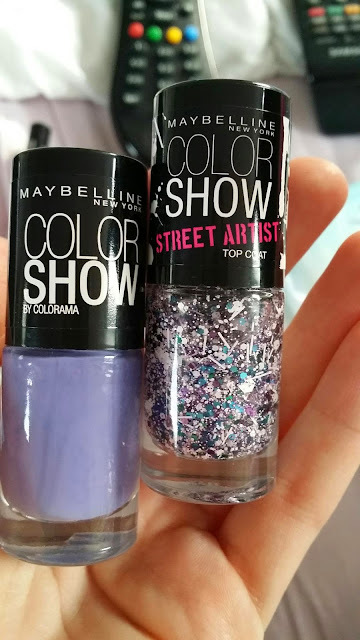 The Maybelline Color Show range is a new nail polish line that brings trend and colour direct from the catwalk to the sidewalk, inspired by everything that is the Big Apple and its global fashion credentials. Color Show brings an instant seasonal update to your fingertips. 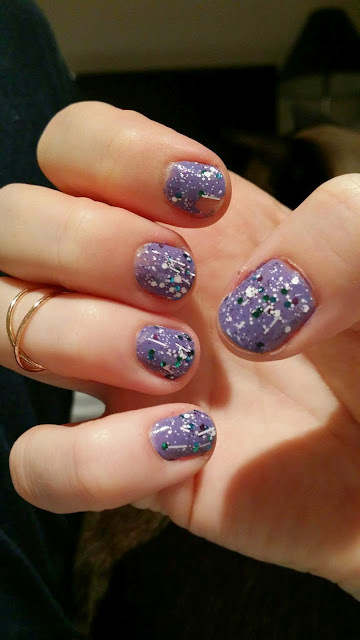 I applied two coats of the lilac shade which is easy to apply, and then on top one coat of the white splatter glitter top coat. 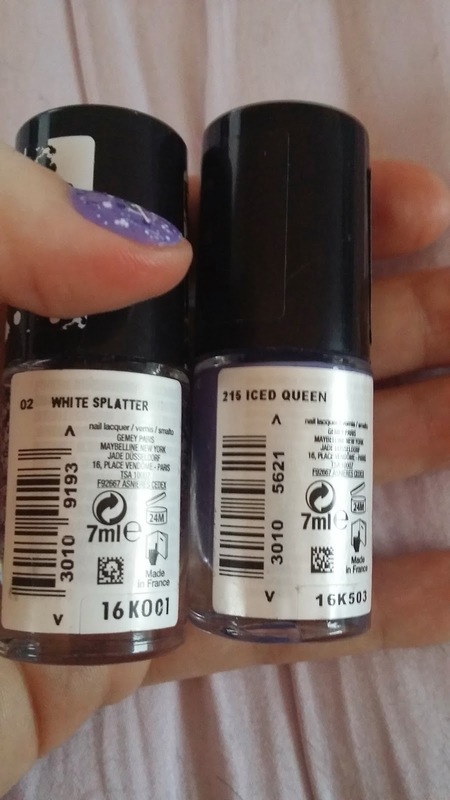 Here's the effect it gives above, please excuse the one chipped nail I ended up rubbing it with my jeans not realising it was still wet! I really like this combination, but using my Seche Vite top coat - I have found that this combination doesn't last that long, the glitter particles catch on your hair and then flake off - so I am on the look out for alternative top coat to stop this from happening. Other than that, the range is gorgeous, the glitter top coats adds a certain artistic edge to your nails without you really trying. I have had tons of people commenting on this combo since I purchased it over a week ago, so it's definitely a winner in my book! Have you tried anything from the Maybelline Color Show range before? Love these colours and they look great together!